The European Union may soon restore tariffs on rice imports from Myanmar in a bid to protect its own producers. But more troubling for Naypyidaw is the EU’s intention to remove all trade preferences for its export goods in response to systematic violations of human and labor rights in the country – a move that is raising concerns among some observers. EU experts wrapped up a four-day monitoring mission in Myanmar on October 31. They were investigating whether Myanmar’s military, known as the Tatmadaw, and security forces were continuing to commit atrocities against Rohingya Muslims in the country’s northern Rakhine state, as well as civilian populations in Kachin and Shan states. 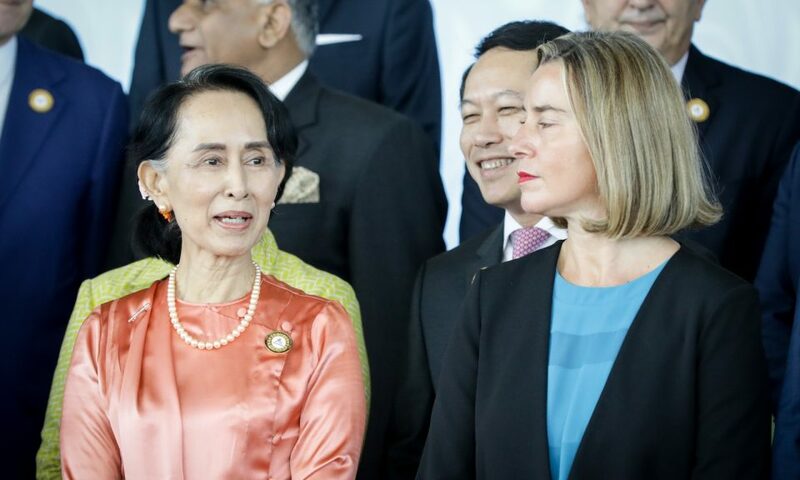 An EU spokesman told Asia Times that there was no time frame set for the assessment of the humanitarian situation in Myanmar, though the European Commission (the EU’s executive body) was going to analyze the findings of the recent mission in the country as a matter of priority. The EU has warned that Myanmar will lose its trade-preferences status under the Everything But Arms (EBA) scheme if it does not comply with United Nations conventions on human and labor rights. The EU usually grants LDCs (least developed countries) tariff-free and quota-free access to its market for all products (except weapons and ammunition) with the aim of helping their economic development. In a similar case, the EU is working to suspend the preferential tariff treatment that Cambodia has so far enjoyed. The measure is intended to punish the Cambodian government for its move away from political pluralism. 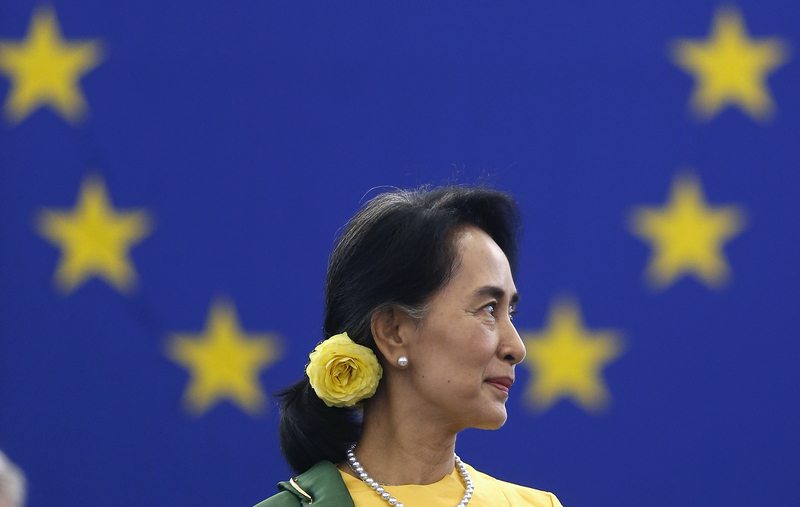 The EU is clearly hardening its position toward the Myanmar government. Cooperation between the two sides has also been soured by the imprisonment of two Reuters journalists for their investigation into the assassination of 10 Rohingya men in a village in Rakhine state. 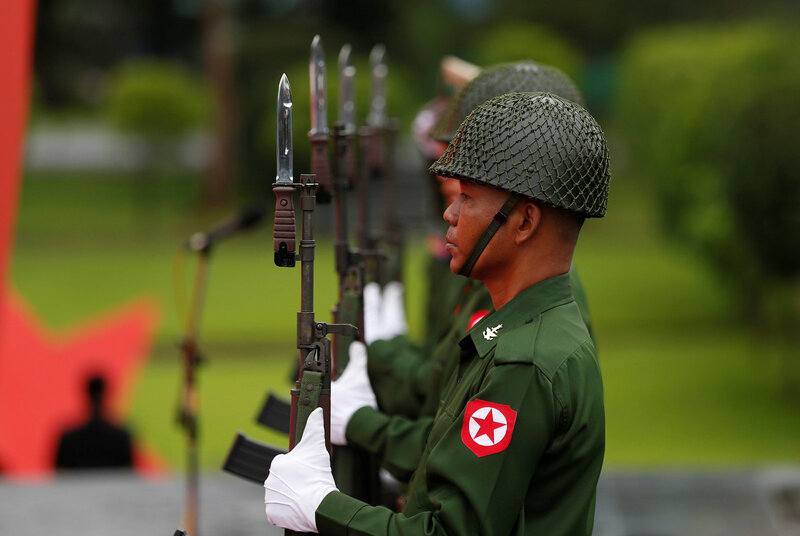 Though there are economic reasons behind the bloc’s decision to limit the imports of rice from Myanmar, European outrage about the Tatmadaw’s brutal use of force against the Rohingya has also likely played a part in the process. The European Commission agreed to a request by Italy on Tuesday and will now propose to the EU member states a vote on the reintroduction of duties on rice imported from Myanmar (and Cambodia), as the bloc’s leaders believe zero-tariff imports from the Southeast Asian country would be hurting European producers. EU institutions argue that the EBA arrangement has proved to be an important boost for the Myanmar economy, notably in sectors such as agriculture, textile and fisheries. The European Commission reports that preferential exports to Europe from Myanmar grew from US$606 million in 2015 to $1.5 billion in 2017, making the EU the third-largest importer from the country. The EU has also leveled restrictive measures against seven senior Tatmadaw and police officers associated with gross human-rights abuses in Rakhine state. In light of a UN fact-finding report issued in September, which contains serious allegations of crimes against humanity and genocide perpetrated in Myanmar, the grouping is considering to toughen such individual restrictions. All that said, the impression is that the EU leadership is trying to distinguish between the role of the Tatmadaw and that of the civilian government for the atrocities. Indeed, the EU wants to maintain an open channel with local civilian authorities in an attempt to improve the humanitarian and labor environment in the country. It is significant that an initiative by the Liberal and Democrat Group in the EU Parliament to strip Myanmar’s de facto civilian leader, Aung San Suu Kyi, of her 1990 Sakharov Prize (the EU’s top rights award) has not been supported by other political forces. Once regarded as a democratic icon for her opposition to the ruling military junta in her country, Suu Kyi has been accused by many Western leaders of inaction over violence against the Rohingya. The EU could indeed refrain from sanctioning Myanmar if rulers in Naypyidaw were to create conditions for a “voluntary, safe and dignified” return of Rohingya refugees to their areas of origin in Rakhine state. Hundreds of thousands of Rohingya sought refuge in neighboring Bangladesh after the Tatmadaw launched counterinsurgency operations against the Arakan Rohingya Salvation Army (ARSA) beginning in late August 2017. According to James Clad, a former US deputy assistant secretary of defense for Asia-Pacific Affairs under the George W Bush administration, the United States should not impose the same type of publicly trumpeted sanctions apparently now contemplated by the EU. Cardinal Charles Maung Bo, archbishop of Yangon, has vocally expressed his perplexity as well. He recently lamented that the EU’s economic penalties against Myanmar would only harm the poorest fringes of the population – as they did between 2004 and 2012 – while also frustrating Suu Kyi’s current efforts to unite the nation through engagement with the army. Clad admitted that both the US and EU find themselves in an awkward position over the rights abuses. “China does not give a hoot about the excesses of the Myanmar military; we and the Europeans do care, but it is a question of how to achieve the objective without driving the country ever more into the morally indifferent arms of the Chinese and others for which human rights are a pointless distraction,” he said. He also noted the Organization of the Islamic Conference and the Saudi Arabia-led Gulf Cooperation Council are both “missing in action” in responding to the situation.